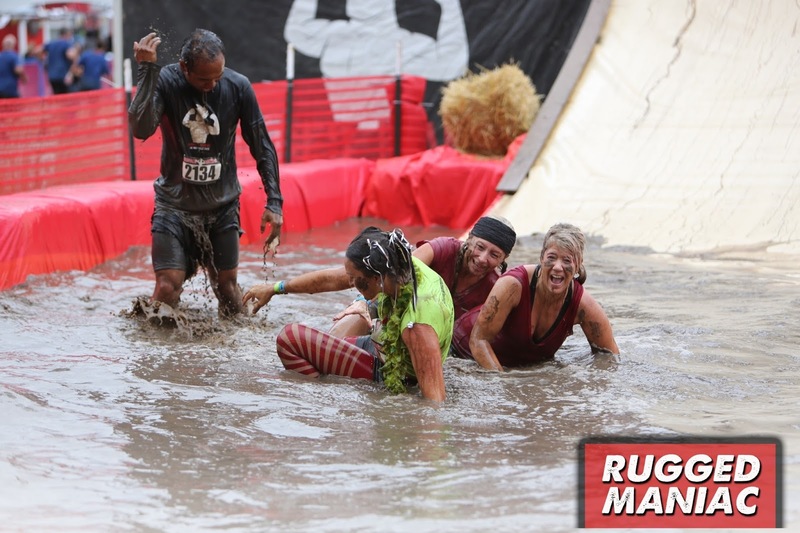 I finally completed my first obstacle race called Rugged Maniac. 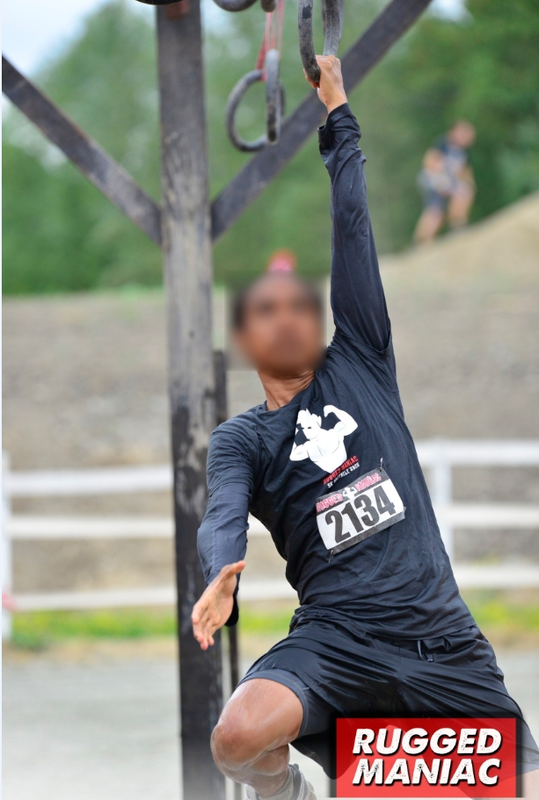 It was a very easy race for me, at 5k in total and 25 obstacles. Perhaps it was because I was expecting it to be difficult like Tough Mudder or the Spartan race so I over trained for it. Or maybe it was just tailored to be an easy race with so that there is a repeat next year. Whatever it is, I had fun. I went with my friend Greg, Amy, Colin, and their friends this year. 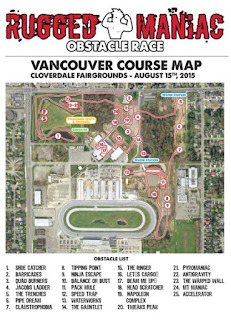 They live very close to the Cloverdale Fairgrounds so I just biked it to his house for an easy 6k ride just so I can get warmed up. After checking in, we immediately climbed a chest-high wall to get to the start of the race and this was great teaser. When our wave time started at 1pm, I immediately regretted wearing white socks as we start out with "shoe catcher" obstacle where you cross a mud pool and immediately find yourself knee-high in mud. One of my favorites was "the ringer" because I didn't think I could do it. I have a bad shoulder and didn't know I could swing across like a monkey over a puddle of brown water. I think it was thanks to losing so much weight that I was able to carry my body easily. Near the end, there was "the warped wall" which was a half-pipe and required a running start to get to the top of the wall. There were helping hands at the top to hoist you over the wall but I didn't need any help getting over. The key is to make sure your shoes aren't muddy or wet so that you have enough grip to propel yourself over the top. 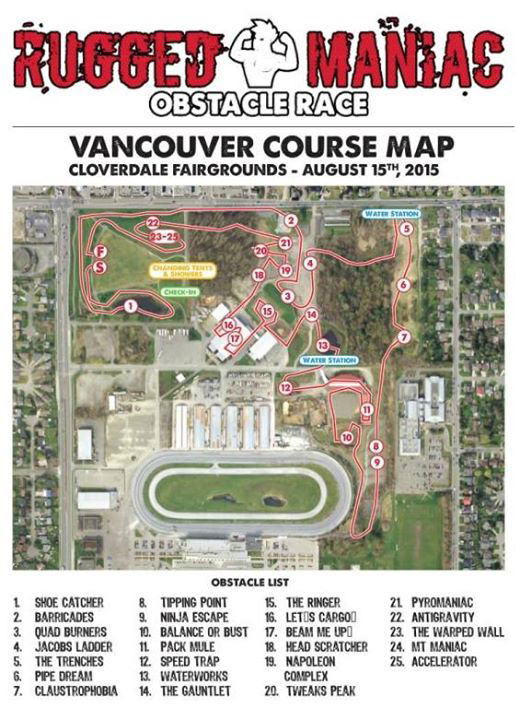 I didn't get the timing chip this year but the clock at the finish line said it took me 1 hour to complete the race. I don't think I'll time myself in future Rugged Maniac races because this was all just for fun just like the Color Me Rad 5k race earlier this year. I would definitely do it again and just wished more of my family and friends would join in. It was probably the $100 price tag at the gate or the prospect of getting injured that deterred many. I say stop whining, get over that obstacle, and let's get rugged!